The humble timesheet. Love it or hate it, time tracking is an absolute necessity for professional services including IT, law, design, and more—shouldn’t it be easy for both the manager and employee? Why do so many organizations still rely on paper time tracking, requiring more time, money, and headaches than it’s worth? Find a simple solution that can track time in real time—automatically. As great as the former option may sound, the latter makes more business sense for both your business and your clients. Where can you find an automated solution that will help you improve your project visibility, billing transparency, and client satisfaction? The answer is simple. 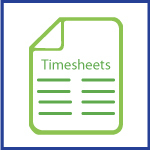 Nexonia Timesheet software in the cloud. Now, if you’re an employee, you may think this is a pretty robust way to spy on every waking minute of your life. But wouldn’t you rather report from anywhere and get approval much quicker? Plus, you no longer have to spend precious time recording, totaling, and submitting your timesheets. If that’s not enough for your company, consider the benefits of integration. Whether it be through integration with your current accounting system or customer relationship management (CRM) software, Nexonia offers many solutions to help your business run more efficiently. 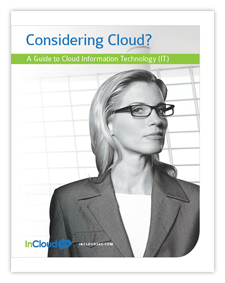 As a reseller of Nexonia, InCloud360 is pleased to share with you this great news. Learn more about Nexonia, its integrations with cloud financial management platform Intacct, and contact us to see what’s next.